Philadelphia ended the 2015 regular season with a record of 7-9 and missed the playoffs. The Eagles last trip to the playoffs was in 2013. 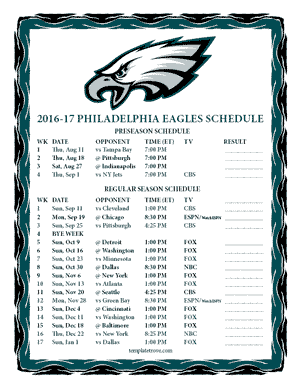 The Eagles compete in the NFC East with the New York Giants, Dallas Cowboys and the Washington Redskins. 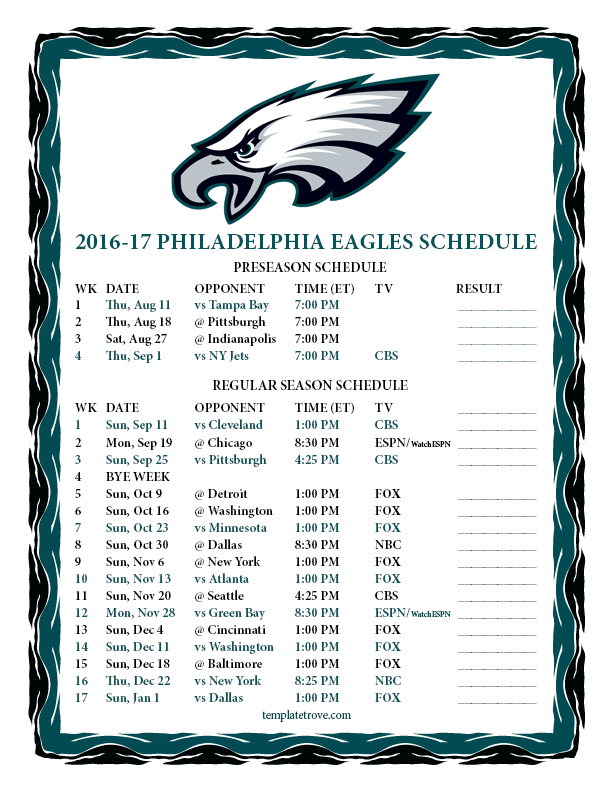 Philadelphia will be featured in two Monday Night games this season including week 2 at Chicago and at home week 12 verses Green Bay. They will also play a Sunday Night prime time tilt week 8 at Dallas. Week 16 will feature a Thursday night game at home against the New York Giants.